The new boss of a London college group has given up his annual bonus as part of a “landmark” pay deal, the University and College Union has announced today. Staff at the three colleges that make up Capital City College Group – City and Islington College, Westminster Kingsway College, and the College of Haringey, Enfield and North east London – will receive up to a five per cent pay rise this year. Staff on the lowest wages will receive the full pay rise, while senior management will see a three per cent increase – while the most highly-paid executive staff won’t receive any increase. At the same time the group’s new chief executive, Roy O’Shaughnessy (pictured above), who took over from former boss Andy Wilson earlier this term, has agreed to waive his right to an annual bonus. “This landmark pay increase, agreed at one of the largest college groups in England, sets the bar for others when it comes to the pay and conditions of staff,” said Matt Waddup, the UCU’s head of policy and campaigns. “Too often colleges hide behind low levels of government investment to avoid giving their staff a fair pay deal,” he said. 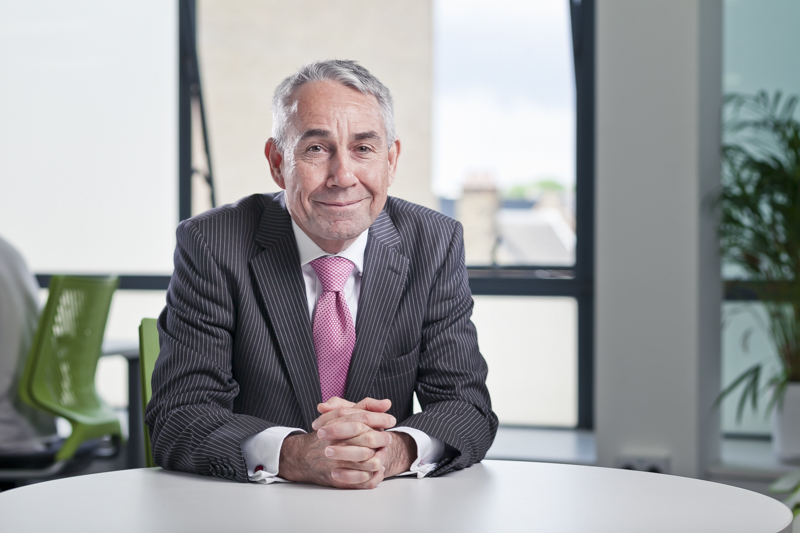 “It’s widely accepted that the further education sector has been under-funded for many years – resulting in a situation where staff have been under-paid too,” said CCCG chair Alastair da Costa. “We want to do something about this and we are fortunate that as a group with some financial strength, we are in a position to do so,” he said. Mr da Costa said the group was “happy” to be able to start to close the gap between executives’ pay and that of their staff “by adjusting our pay award so that lower-paid staff get a proportionately larger raise than their higher-paid colleagues”. The UCU said the deal is worth around £140 a month extra for staff, and will be backdated to September in their December pay packets. Staff earning less that £55,000 will receive a five per cent rise, while part-time staff – including hourly paid – will get their rise pro-rata. Those earning between £55,000 and £76,000 will receive the smaller three per cent rise, while those earning more than £76,000 won’t receive any pay rise. Shadow chancellor John McDonnell offered his congratulations to UCU members at the college for securing a “brilliant victory”. The news comes a day after it was announced that staff at six colleges across the country will walk out for two days next week in the first wave of action over this year’s pay award. At the same time ballots will open on possible future action over pay at a further 26 colleges.